TM is using VLAN to separate the different network as Unifi connection is used to deliver multiple services. As such, not all modem or routers are compatible with Unifi. 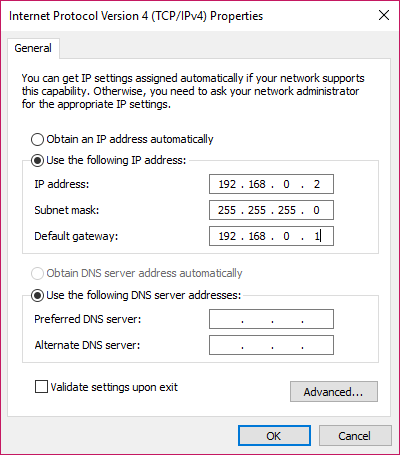 They have to come with Unifi mode or support VLAN tagging else it will not be able to connect to the Unifi network. TP-Link Easy Smart Switch allow you to trunk the Internet VLAN from the TM modem (ONU) to your wireless router. 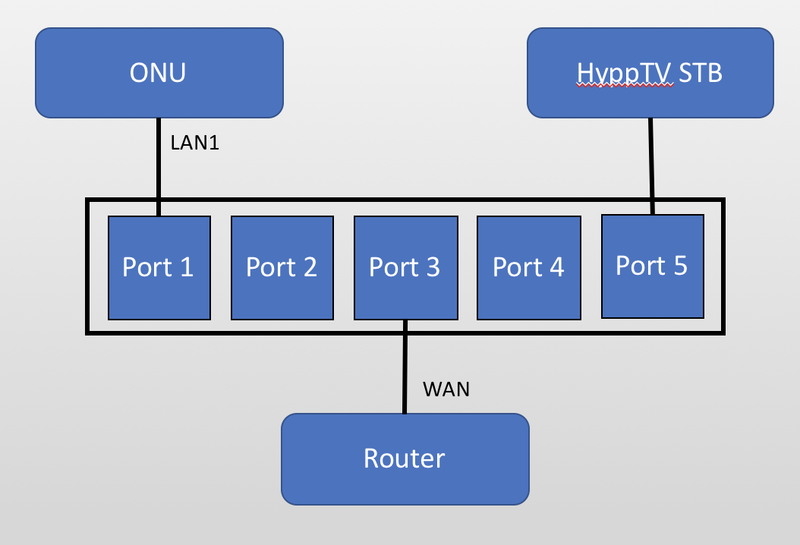 Besides, the HyppTV VLAN can be trunked to one of the port on the Switch as well. By doing so, you no longer need to use a router with Unifi modem or known as VLAN tagging feature. 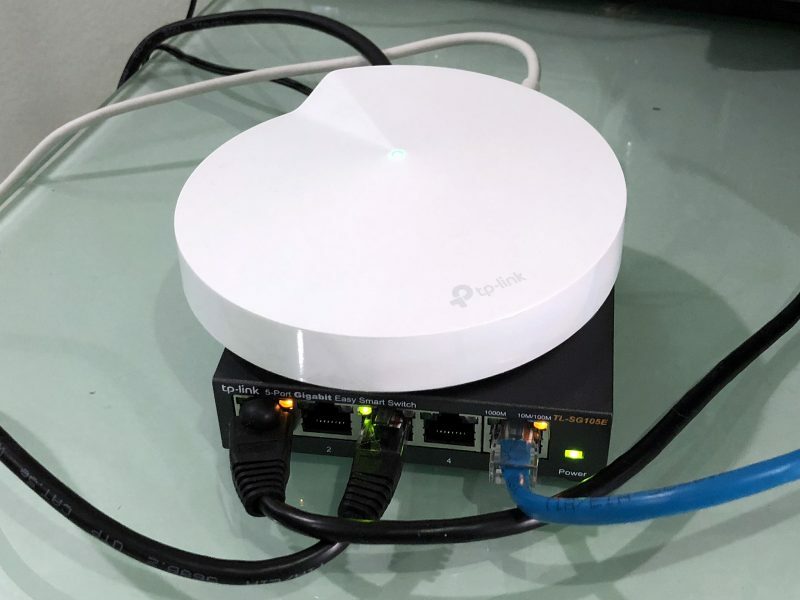 In layman terms, using the Easy Smart Switch from TP-Link allow you to use any router in the market even those without Unifi mode in the firmware. 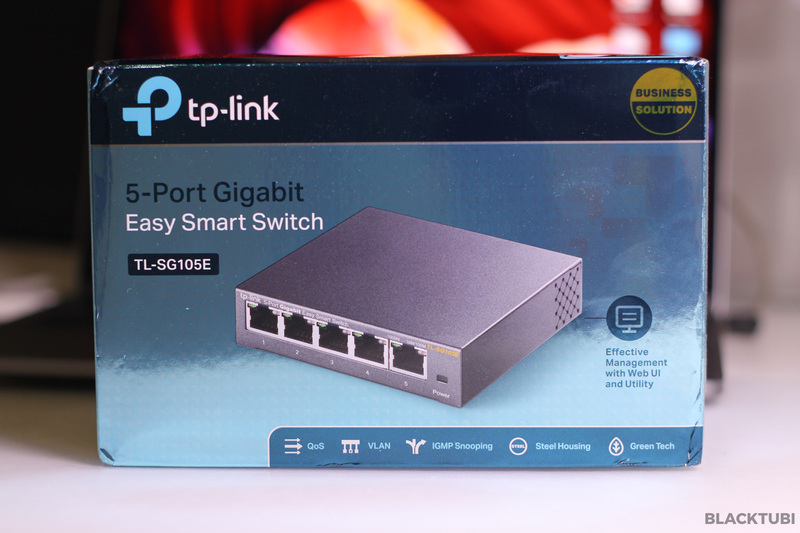 The switch of choice is TP-Link TL-SG105E due to the ability to trunk VLAN and the affordability. The build quality is amazing for something cost less than RM100. It is metal and feels really solid in hand. The model I have is the 5 ports model and every single port have their own LED status indicator. It is powered by a 9V power adapter and there’s only one button which is to reset the Switch. The switch can be wall mounted with a lock port at the back. 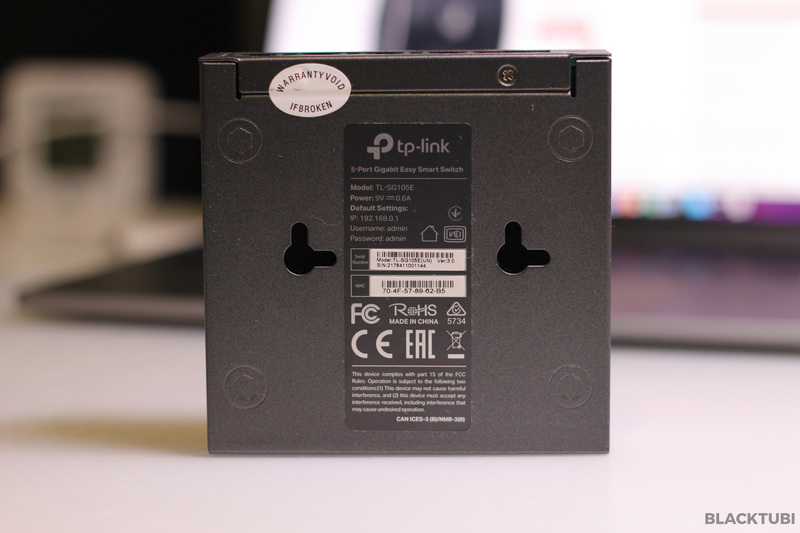 TP-Link also produces a 8 ports and 16 ports version of this model. I wouldn’t consider it to be a managed switch but it will surely do what I need which is to trunk VLAN so I can use any routers with Unifi! By default, the switch will function like any other dumb switch. In order for the Switch to function as desired, you have to configure it to trunk the relevant VLAN to the relevant switch port. To configure the switch, you will need to gain access the Web UI of the switch. 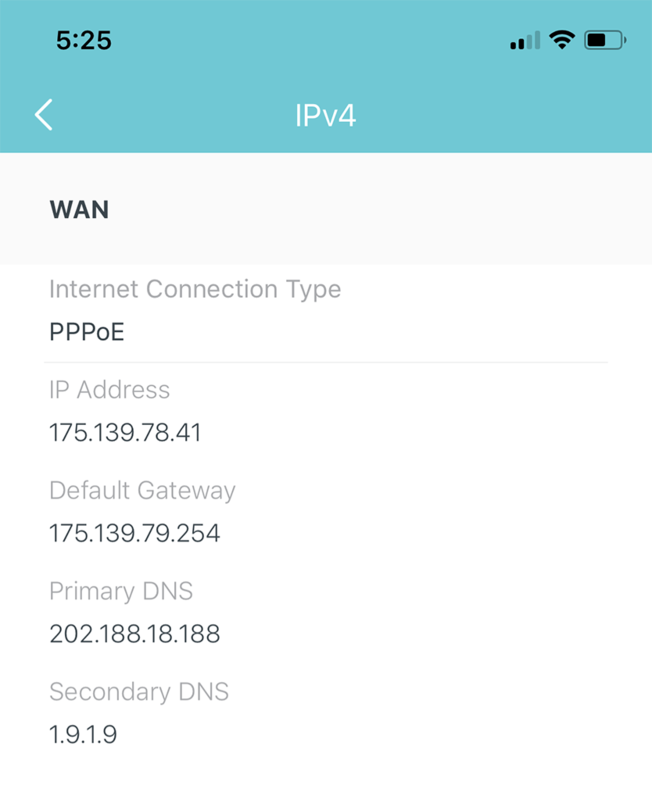 You can do that by configuring the IP manually on your computer and connect it to any port on the switch. You will be able to access the web UI of the switch at 192.168.0.1 now. The authentication ID and Password is admin. There’s a few configurations you need to change over here. You can just copy my exact configuration but few free to play around with the settings. 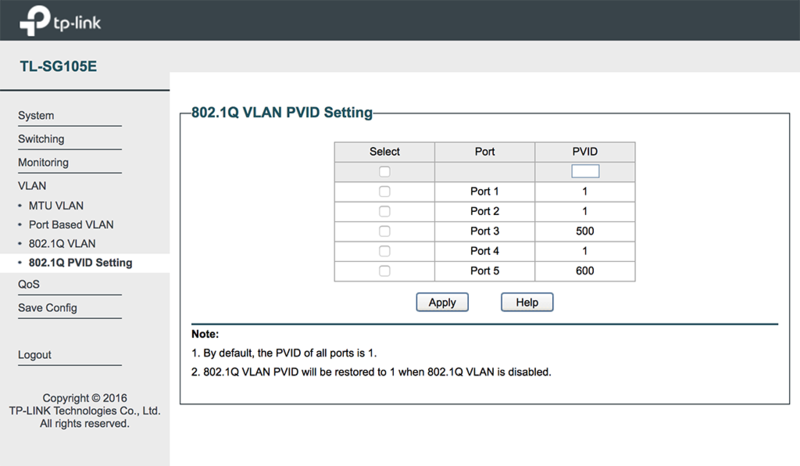 You have to enable 802.1Q VLAN and follow my configurations as above. As TM is using VLAN 500 for Internet and VLAN 600 for the HyppTV, I configured the Switch to trunk VLAN 500 to Port 3 and VLAN 600 to Port 5 respectively. Next, you have to setup the VLAN PVID setting. You can just follow my screenshot as above. They are self-explanatory. 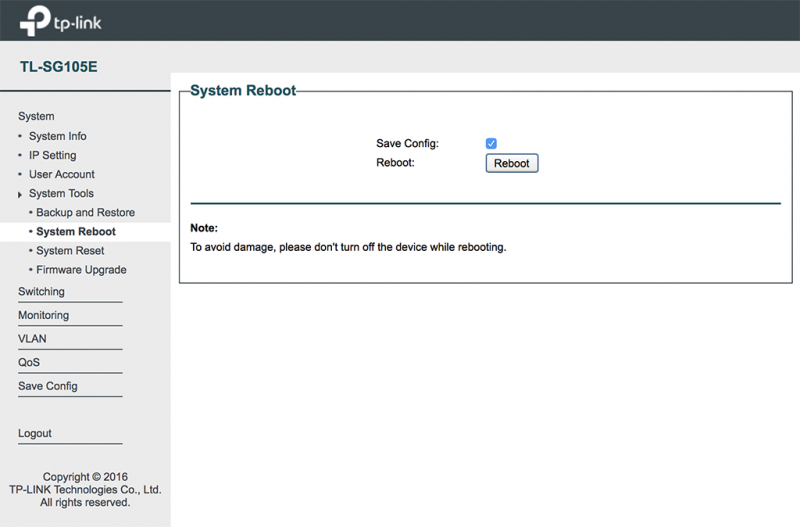 Make sure you save a config and reboot your switch for the configuration to take effect. With the configuration, your TM Unifi modem (Fibre ONU) should be connected to port 1. Your wireless router should be connected to Port 3 and HyppTV should be connected to Port 5. 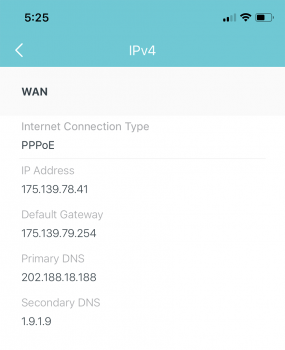 I wouldn’t go in on how to setup your wireless router but you can setup your wireless router as usual with the PPPOE mode using your Unifi PPPOE ID and Password. Do not select any Unifi profile if available! Nothing need to be done on the HyppTV, it should work properly immediately. Does it work? Yes, it certainly does. With this configuration, I am able to use a router without Unifi VLAN Mode in the firmware like the TP-Link Deco M5! All the Unifi connection is handled by the router so there will be no concern of Double NAT. Think about this, you can now buy any routers without thinking about Unifi compatibility anymore. You can get Google WiFi or Apple Airport and it will work without any issues. 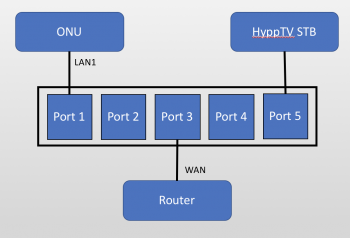 Furthermore, the HyppTV connection is offloaded at the Switch level, reducing the load at the router and clearing out 1 LAN port from your router. As a prove a concept, you can see the HyppTV multicast connections from the switch UI. For something this cheap, it certainly offers a really great value. 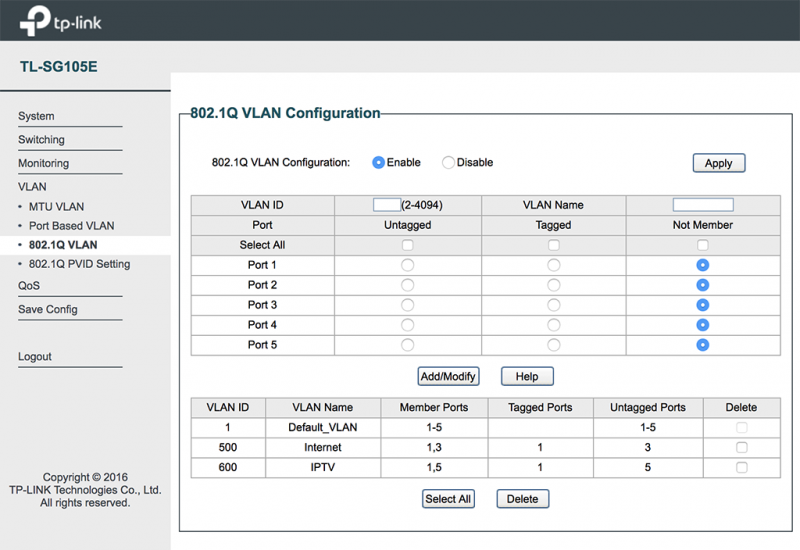 This configuration allows you to have greater flexibility in your network without need to rely on equipments with VLAN tagging feature while they still can natively perform PPPOE connection to connect to Unifi. All of this with the HyppTV working properly without any issues. Well, if you think this is too much of a hassle, you can always look at my list of Unifi modem routers here. All of these are actually possible with any managed Switch in the market. You can even use an OpenWRT flashed router for that. However, I selected the TP-Link smart switch due to how affordable it is. I would purchase it even as a dumb switch without all the additional features. Feel free to leave a comment for any issues. I’ve bought a TP Link router (china version) TP-WDR7620 and it doesn’t have VLAN. Subsequently I’ve bought this smart switch and configured as per your instructions and done setup up my router with the unifi ID and PW. But it seems PPPoE is not working and unifi is giving me login error…. Any advise? You are using a wrong PPPOE ID and PASSWORD? Hi, I’m now using Google WiFi connected to D-Link DIR-842 and then to Unifi. I have disabled the wireless part of the D-Link so I can use Google WiFi exclusively. Can the D-Link router be replaced with the TP-Link switch? I looked in the D-Link admin page and there are some login settings to Unifi. 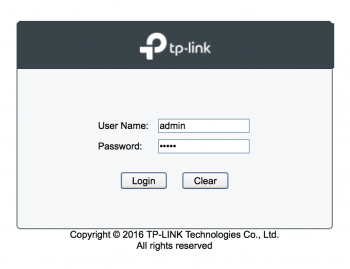 If you do not use HyppTV, you can use the TP-Link switch option. Need to ask Before I buy the Deco M9, That mesh only has 2 ports right 1 will have to use it for wan and another one can i use it for lan internet, cause im worried the second one will use it for hypptv vlan 600 instead internet vlan 500, is it possible for internet or does the second lan port use it for hypptv? You can use the second port for Internet only but you will lose HyppTV. I am using a Cisco RV130W to connect with TM Unifi, are below connections appopriate? It does not work yet. Port 2 should be to the router where it dials the PPPOE session. Hi, i would like to ask if i were to powerline the hypptv connection will it be possible? My mapping will be like. Or kindly advise a better alternative if any. Thx! Possible but HyppTV with switch is not working reliably on some users probably due to a hardware issue with TP-Link multicast. 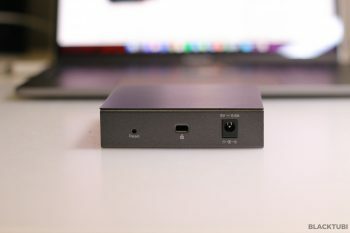 is it possibe if i use the smart switch to solve my hypptv satellite problem with dlink routers….does it have any issues if i configure the set-up with switch and use a dlink router for internet assess. The switch solution is a bit of a hit and miss, some users get it to work but some don’t. Thanks for the great tutorial! Will be following this guide for my Deco M9 setup. 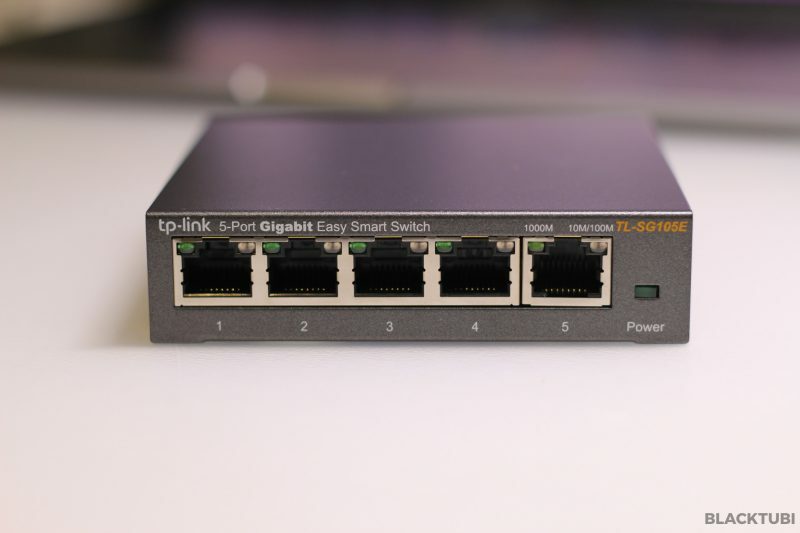 Question: So if I want the other 2 ports on the 5-port smart switch to be connected to the internet as well I need to configure the rest of them to VLAN 500? No, the rest of the ports on the switch cannot be connected to the internet. But why do you need this as Deco M9 support Unifi natively. I have a different situation. My house has LAN cable connected to each rooms from the switch box in the store room. My unifi ONU and unifi router are in the store room. I have unifi TV box and other smart TV in the TV room. Since there are only 1 cable connecting the switch box room and TV room, planning to get 2 TL-SG108E to do the VLAN tagging and untagging. Any advise on the Unifi IPTV tagging and untagging? But since th M9 has one additional LAN port. Can I use the smart switch ports to access internet over Lan cable ?